The newly formed Rwanda Investigation Bureau (RIB) has officially been accepted as a new member of the army bank Zigama Credit and Saving Society (CSS) joining Rwanda Defense Force, National Police and Rwanda Correctional Services. 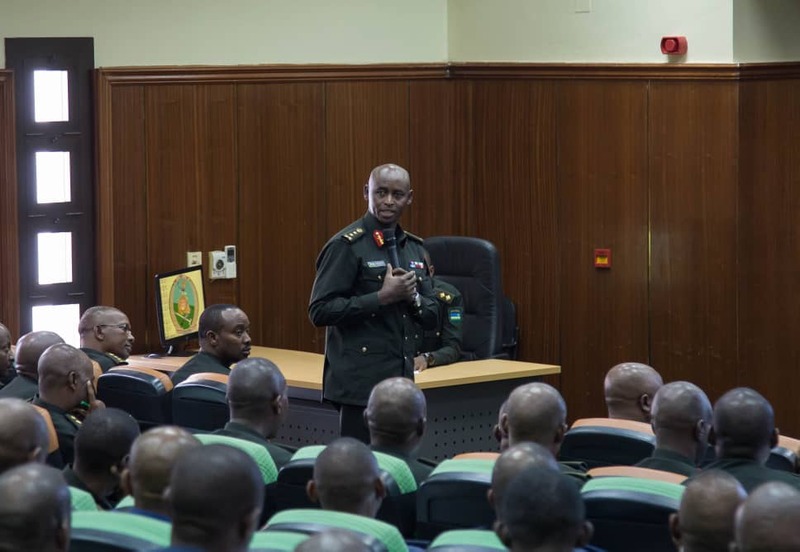 The membership was confirmed during the bank’s General Assembly held on Friday at Rwanda Defense Force headquarters. With a growing clientele from 80,000 members in 2017 to the current over 100,000 today, Zigama General Assembly set tge target of making Rwf10 billion in profit in 2019. This is a steady increase from Rwf9.3billion net Profit in 2018, Rwf8 billion in 2017 and Rwf6.8 billion in 2016. One of these services include a new Zigama CSS App which has for a month been in use and is downloadable on smart phones. Zigama will also implement a process of online banking which was demanded by members in the previous assembly. During this November meet, bank officials presented updates on recommendations made during the previous assembly held on 29th March 2018 that were supposed to be implemented before the end of this year. These include starting using visa card services. Despite the three months deadline which has elapsed, new CEO, Major General Emmanuel Bayingana said that the timeline was not practical and more technical work was needed for the bank to have its own visa card. “The whole implementation plan shows me that this will be completed and launched in February 2019,” Bayingana said. Currently, Zigama CSS ATM machines can be accepted on other visa card machines but not visa. The assembly also discussed the issue of pulling down interest on short term loans (STLs) and mortgage loans which accounts for more than 75% of loans. Zigama CSS offers loans with interest rates ranging between 13% (lowest for loans below Rwf5 million) and 15% highest). The assembly recommended harmonization of interest rate at 13%. According to Dr. James Ndahiro there is need for more time to look at possibilities of reducing the interest rates in both areas of concern. In the meantime, the bank’s CEO said that an affordable housing product is being developed with support of Development Bank of Rwanda (BRD). The bank agreed on its five-year strategic plan 2019-2023, which will witness expansion of its services, capacity building and investment capital of $1billion against the current investments of Rwf280 billion. This comes at a time when the banking sectors is making a marginal interest as a result of decrease in loan appetite and increase in Non-performing loans. As at 30th June, 2018 the banking sector profits improved with total profits (after tax) amounting to Rwf23 billion compared to Rwf21.5 billion registered as at 30th June 2017, according to Central Bank annual report 2017-2018.